Looking to start hiking? 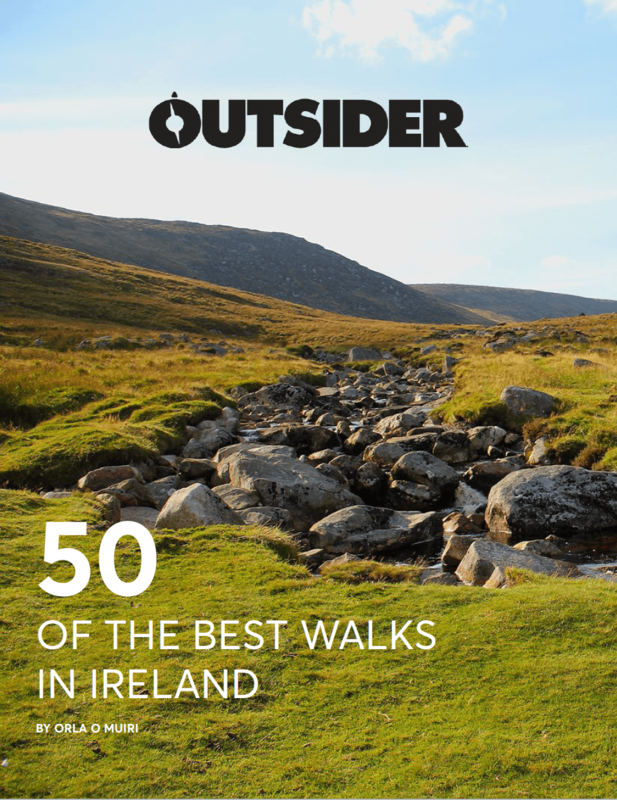 These five hiking routes in Ireland are perfect for beginners. Hiking is a great way to get fit and to build up your fitness in wild and beautiful places – lovely activity at this time of year when it’s harder to be outdoors. Here are some ideas on where to go for great views but manageable trails where you don’t need to navigate or be guided. Don’t forget to bring plenty of layers of clothing and full rainwear (top and bottoms), as you lose 1 degree in temperature for every 100m you climb. Also, make sure you bring a hat and gloves just in case it gets chilly and always carry food and water. Difficulty: Marked path goes straight uphill with steps, quite steep and strenuous but short so very doable. There are beautiful views out over Strandhill, Sligo, Leitrim and Donegal with Benbulbin in the distance. The walk is also steeped in history – the summit is crowned by the great cairn of Queen Maeve, which is 5,000 years old (3400 BC), and is thought to have a network of passage tombs. It used to be a sacred burial site and you’re asked not to climb on the cairn out of respect. Queen Maeve of Connacht is said to be buried there – buried upright with a spear in her hand still facing her enemies in Ulster. Difficulty: The route is quite steep in places depending which direction you do the loop, it’s good for reasonably fit people but those who are less fit should still give it a bash, taking breaks to soak up the beautiful views along the way! This is a stunning mountain walk through glacial valleys with ice carved cliffs, waterfalls, scree slopes, good climbs, lake views and even a derelict Miners Village dating back to 1800s. The route winds its way along the waterfall before heading into the forest as you climb up a series of steps. At the top, you are treated to the most breathtaking views of the lakes below. The route then loops back over the top of the valley across the bridge over the Gleanealo river down the zig zag of rocky steps/mule track to the Miners’ Village followed by a flat forest section back to the car. Dursey Island is home Ireland’s only cable car. Carrying just six people at a time, you are likely to share the car with dogs and a couple of sheep too. There is also holy water and a Psalm on hand too, just in case!! The island itself is home to a dramatic coastline which has been shaped by the mighty Atlantic below. You will walk along the cliffs and across boglands and fields over the course of the hike. There are no shops, pubs or restaurants on the island so it’s like going back in time, completely peaceful and tranquil (just don’t forget your sambos and flask of tea!). There is wildlife in abundance and those lucky enough might spot whales or even basking sharks as well as an array of birdlife. Difficulty: narrow with steep ascents in places, flagstone steps and farm tracks, suitable for everyone! There is no steep climb or hard work required to benefit from the incredible views on offer on this route. Those without a head for heights might struggle at a couple of points as the walkway is quite exposed, but fear not it is well set back from the edge! This is a walk best done on a clear day so you can take full advantage of the views. Those wanting to do a guided walk should get in touch with local man Pat Sweeney who does a pick-up at O’Connor’s Pub in Doolin. If you fancy doing the walk just one way, there is a shuttle bus which runs between Doolin and Liscannor. Distance: 12kms for the full loop. Difficulty: Suitable for beginners and all levels of fitness. This little slice of heaven is located a short journey from the city centre but offers the perfect opportunity to get some fresh air and a bit of exercise. Oh, and the views out over Dublin Bay, the Wicklow Mountains, Ireland’s Eye and Lambay are pretty epic too! There is an abundance of fantastic restaurants and cafes in Howth to finish off what is always a great day or evening out! Why Does Running Make you Poo?